Cat's Eye Technologies maintains some forks of some projects which are otherwise abandoned or under-maintained or whose canonical distribution just doesn't fit our requirements. Note that kinds of projects forked here range from Language Implementations to Emulators to Tools. Originally forked in order to make it build on AmigaDOS 1.3. Also a good test target for Pixley. Fork began Dec 13, 2011. Forked because Zzrk depends on it, and I want to maintain that. Note that while most of the code is LGPL, the REPL is GPL. Fork began Feb 1, 2012. A Commodore 64 emulator written in Java. Originally it ran as an applet, but Java applets are pretty much history now. It has always ran as a desktop application. It can now run as a JNLP application. We forked this from http://jac64.sourceforge.net/ because we wanted to put Bubble Escape 2K online and this emulator ran as an applet but there were a few bugs in it. We fixed those bugs and submitted those fixes upstream, but heard nothing from the maintainer. Thus we keep this fork. 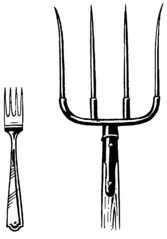 Fork began on June 30, 2011. A Z-Machine emulator written in Java. Originally it ran as an applet, but Java applets are pretty much history now. We modified it so that it can run as a desktop application, so that it can now run as a JNLP application. This was for The Never-Ending Maze. An Apple II emulator. We maintain a fork only to make it work like a proper Unix command-line utility and thus play nicely with Funicular. Klaus is a nice-and-simple Git web interface that we are using to run git.catseye.tc. ee is the "easy editor" which comes with FreeBSD. Cat's Eye Technologies extracted it from there so we could have a nicer text editor in The Platform. tideay is Cat's Eye Technologies' fork of yaedit, a GtkSourceView-based text editor written by Paul Harrison. In addition to the features provided by yaedit, tideay supports things such as string-rewriting-based editing commands. a2tools is a set of programs for copying files off of and onto Apple II floppy disk images. We use it as part of Funicular. There was a bug in it that we fixed so we maintain a fork for that.